To achieve outstanding accuracy in the widest range of conditions, shooters need propellant that performs consistently across temperature extremes. 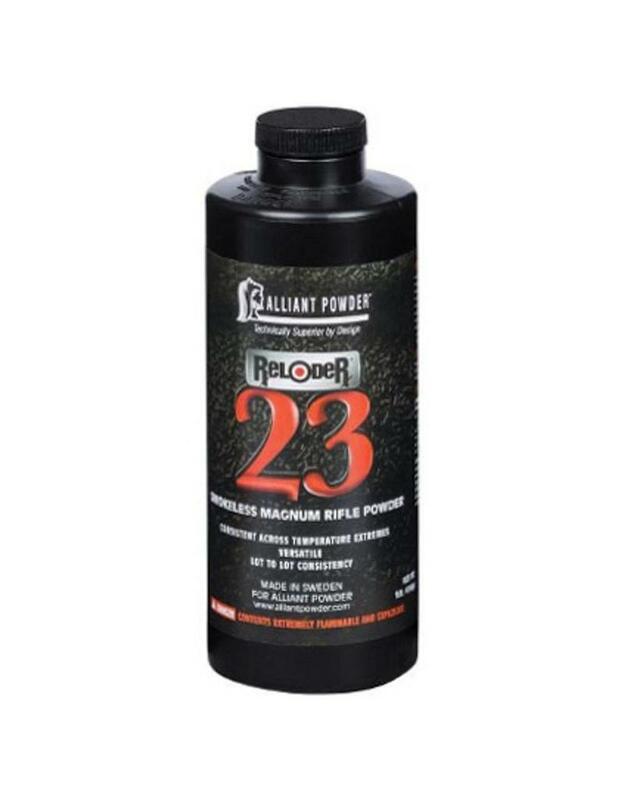 Like its sister product, AR-Comp™, new Reloder® 23 from Alliant Powder® does exactly that. Its sophisticated TZ® technology manipulates the response of the material and resists the natural tendency to generate more pressure at higher temperatures and less pressure at lower temperatures. 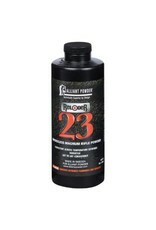 Reloder 23 is perfect for long-range target shooters seeking performance similar to Reloder® 22 with world-class temperature stability.